It's been a while since Spain made it to these pages. In 2012 I reviewed 'The Soul Of Spain' favourably, but somehow missed the release of 'Sargent Place (2014)' and 'Carolina' (2016) both being fine albums as I discovered recently. Now the live album, yes, the title does give something away, Live At The Lovesong came to my attention. An opportunity to amend my strayed ways. Those expecting more of the sweet, oft darkish songs that Spain recorded on its last albums are about to make a discovery. 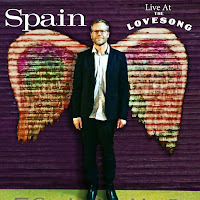 On this live album Spain presents long, slightly experimental songs. Songs that are smeared out like thick oil paint on a canvas, allowed to drip with gravity, like a Karel Appel painting, never totally drying up. The sustained notes on the piano, the busy drums within a low tempo, the repeated guitar notes, all create this effect in a musical way. The musicians are drawn into their own world. Seemingly oblivious to the audience that is chattering away in the background. I'm glad to find out that the "Dutch disease" isn't Dutch at all. In fact in the right venue over here I can hear a pin drop, or water dripping behind the bar in the rinse section. The question "are you guys there?" coming from the podium. The musicians are playing so concentrated to make the slow jams work the best they can. Each musician stepping forward, adding a little extra to the whole before making room again. The basis is a vocal by Josh Hayden after which they all set off on their musical journey. 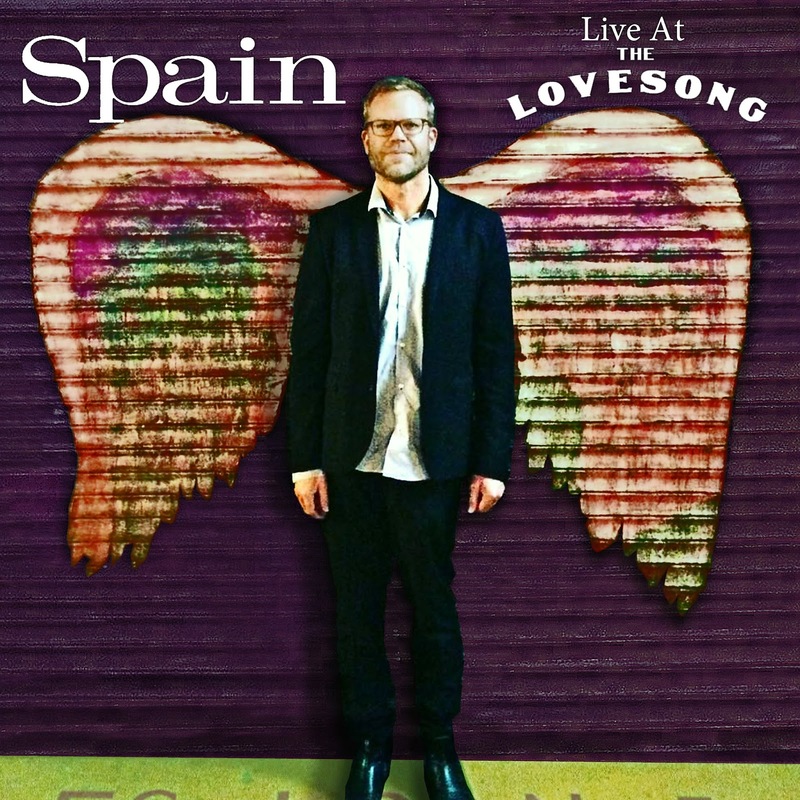 The album is the result of Spain playing every Tuesday night in The Love Song Bar in L.A. "on tour in L.A.", as band leader Josh Hayden described it. The concept is as interesting as it is daring. All traditional writing and recording sessions went overboard. Spain traded it for adventure, experimentation and collaborations. Guest were invited to play with the band, which gave each evening a different feel and show. What I'm listening to currently is a selection from the recordings over the months. Songs where nothing is added to or subtracted from. What I hear, is what was there that particular evening, including the audience, present in the background at times. Is all as interesting? No, some songs are drawn out immensely, with just pure improvisations around an elementary theme, with feedbacking guitar tones. What is almost tangible though, is the concentration in playing. The musicians connecting to each other and taking the cues they get. A place where we enter a shadowland between pop and jazz, without any rules. Something to submerge in, letting my own boundaries go as well and make sure that I am open to what I hear. Hearing from the applause on one of the tracks, the musicians must have been nearly on their own: one shout, three or four people applauding. So don't expect perfection, that would be totally behind the point. Expect passion for music, the skills to play like this and the fun band and guests must have had in making this happen. No doubt Spain will soon treat us to something more traditional. In the meantime enjoy this gift. A present to hear what was there in L.A. and unreachable for most of us ordinary people not being able to have been present. The Love Song Bar must have had many an interesting Tuesday evening last year.